You asked…we listened! We’ve tackled your top sales barriers. Each year, CSO Insights reports on the top-ranking B2B sales leadership barriers based on surveys from CSO’s across a broad mix of companies. 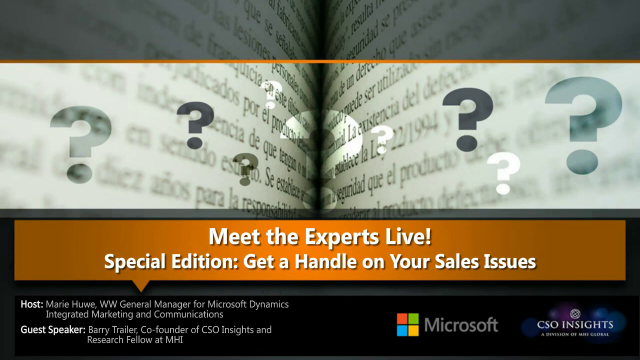 During this webcast, Barry Trailer, CSO co-founder, discusses top sales barriers and shares best practices based on extensive research for how to solve for them.